New Plymouth District has a reputation as an events centre, with major festivals (the annual TSB Bank Festival of Lights, Taranaki Powerco Garden Spectacular, WOMAD and the biennial Taranaki Arts Festival), sports fixtures (including international rugby, surfing, cricket and tennis matches, and the annual ITU World Cup Triathlon) and concerts (from Sir Elton John, Jack Johnson, REM, John Farnham and Fleetwood Mac). With its rich volcanic soil, the city is well known for its gardens. Chief among them are the 52 ha Pukekura Park in the centre of the city (named a Garden of National Significance), and Pukeiti, a rhododendron garden of international significance high on the Pouakai Range. Pukekura Park is also the home of the TSB Bank Festival of Lights, which runs for free every year from mid-December to early February. It has daytime and night time programmes of events for people of all ages, and the festival itself transforms the park into an illuminated wonderland every evening. Next to the foreshore in the central city is Puke Ariki – the world's first purpose-built, fully integrated museum, library and information centre. Nearby is the Len Lye Centre a contemporary art museum. It includes the Len Lye Centre, a purpose-built centre next to the gallery that houses the collection of film maker and kinetic artist Len Lye, which opened in 2015, making New Plymouth the world centre for Len Lye. This museum is the first in the world to be completely dedicated to one person. 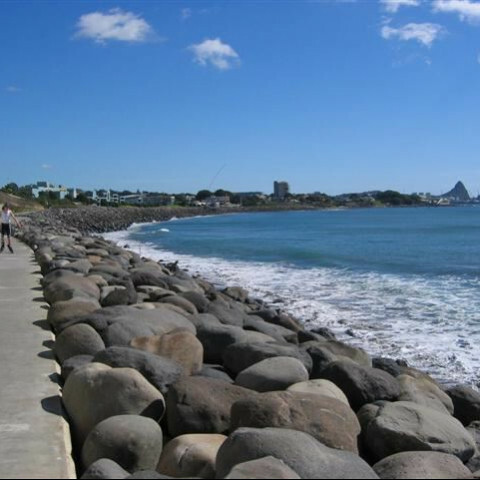 The Coastal Walkway is a 13 km path that forms an expansive sea-edge promenade stretching almost the entire length of the city, from the Bell Block mouth in the east to Port Taranaki in the west. The pathway includes the iconic Te Rewa Rewa Bridge and is ideal for walking, running, cycling or skating, or simply enjoying the view of the dramatic west coast. It has won numerous awards, including the Cycle Friendly Award in 2008 for the best New Zealand cycle facility. Centre City Shopping Centre is the only shopping mall in New Plymouth. It contains over 65 shops and services. 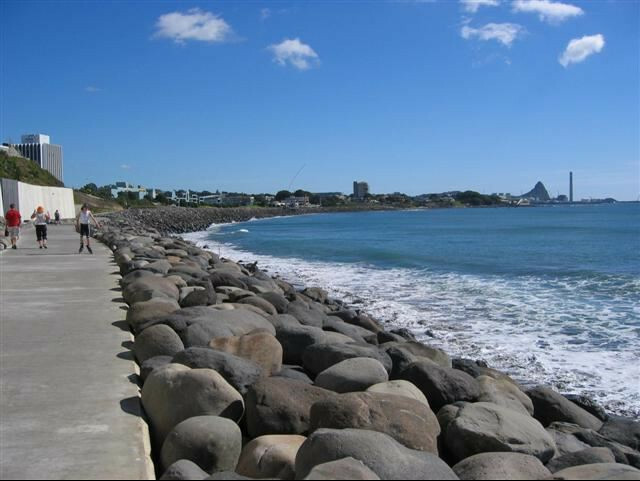 New Plymouth won the Top Town award from North and South Magazine in 2008 (judged "the best place in New Zealand to live, love, work and raise a family"). The city also won three awards at the 11th International Awards for Liveable Communities held in Dongguan, China, 6–10 November 2008. Criteria award for Community Sustainability. Gold award for community project (natural) – the Coastal Walkway.